An EWJ bearishly biased, out-of-the-money vertical put spread. Will 2018 Be the Year of Japan's Tech-Infrastructure Plays? There's no question that Japan's economy is hot and next year companies' confidence to invest in infrastructure plays well for tech stocks. The world's largest pension fund has made its first move into alternative investment with an allocation to real estate in Japan. It's a trend for managers and investors to watch. Which one would you rather trust with your money? The soft revolution at Softbank under founder Masayoshi Son is transforming a phone company into a private-equity technology giant. Is Credibility-Challenged Toshiba Japan's Worst-Run Company? It made up its profits for years and now faces billions in dollars of losses even as shareholders want to sue it for millions. That's just for starters. 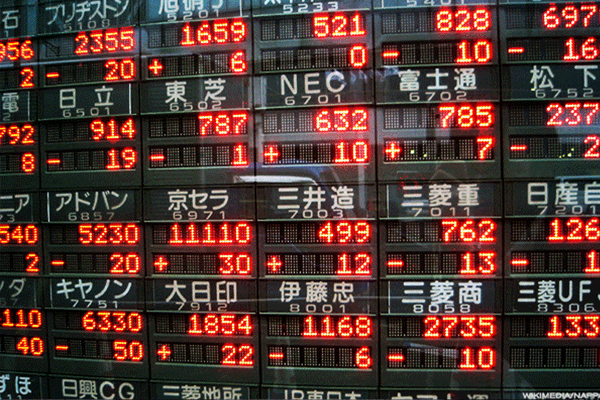 Will Japan Inc. Start to Work for Shareholders? Shareholders have long been an afterthought in corporate Japan, but a push for change could finally reduce the system of cross-holdings that dominate. In the latest scandal to hit Big Business in Japan, Toshiba faces an accounting scandal and billion-dollar U.S. writedown that have tanked its stock and may cause its chairman resign. Here's a look at five 'toxic stocks' to sell. Shares of Akzo Nobel (AKZOY) have been flat this year due to slower sales in China. They keep giving out low-cost commercial and industrial loans. Amid talk of a bear market in Japan, these stocks look attractive. Foreign stocks are easier to find than ever, so why not go global? Exercise caution as news and events create volatility in these stocks. Increase exposure to Japanese stocks that leverage 5% with yen move. 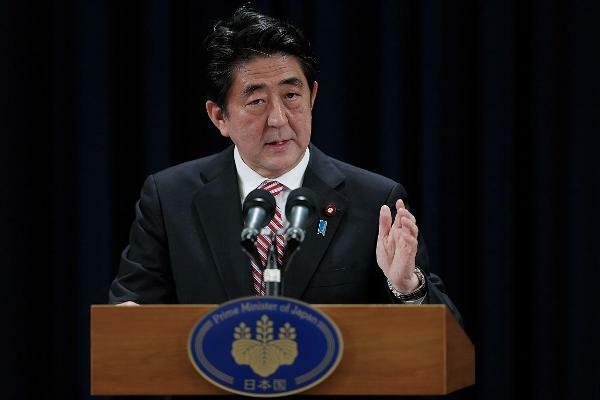 Slow growth and a strong yen could spell trouble for Japan. Investing in the major global banks and utilities at a substantial discount to asset value should be a profitable strategy. It's time once again to pop my head up and look for any big-picture trends I may have missed -- and try to filter those trends down to investment ideas. This screen turned up a few old favorites and a new name for homework. Many of our value stocks have gone from unloved to market leaders. My New Year's resolutions are all about investing and include remaining open-minded and practicing patience. As the action this morning clearly demonstrates, buying or selling on news can be something of a crapshoot. Like people, markets and investments need regular check-ups to see what's going right and what's going wrong. My search for stocks that no one else wants has yielded precious few names. Why Did Mitsubishi UFJ (MTU) Fall on High 9-Month Earnings? Mitsubishi UFJ (MTU) to Post Q3 Earnings: What's in Store? The Ideal Stock Evaluation System? IPO Euphoria is Here...But for How Long? Except as otherwise indicated, quotes are delayed. Quotes delayed at least 20 minutes for all exchanges. Market Data & Company fundamental data provided by FactSet. Earnings and ratings provided by Zacks. Mutual fund data provided by Valueline. ETF data provided by Lipper. Powered and implemented by FactSet Digital Solutions Group. TheStreet Ratings updates stock ratings daily. However, if no rating change occurs, the data on this page does not update. The data does update after 90 days if no rating change occurs within that time period. FactSet calculates the Market Cap for the basic symbol to include common shares only. Year-to-date mutual fund returns are calculated on a monthly basis by Value Line and posted mid-month. Please Join or Log In to manage and receive alerts.